From 1999 to 2004 Leen Van Campenhout worked as R&D Manager Enzymology and Microbiology at Kemin Europa NV in Herentals, Belgium. She was responsible for the scientific research and product development of animal feed additives such as enzymes, fungal and bacterial inhibitors and acidifiers. From 2004 to 2013 Leen Van Campenhout was lecturer at the Katholieke Hogeschool Kempen in Geel. 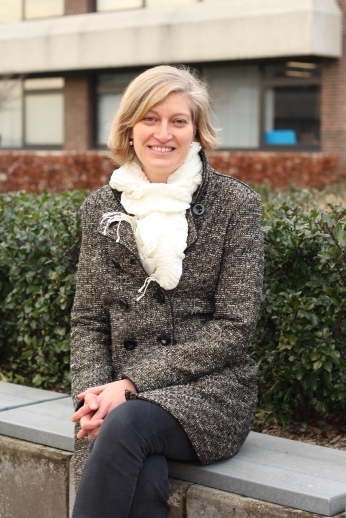 Since 2013, she is professor at the Faculty of Engineering Technology at KU Leuven. Leen teaches the subjects of Food Microbiology, Conservation Technology, Biotechnology, Fermentation Technology and Animal Feed Technology. Leen Van Campenhout also coordinates the Lab4Food research group on campus Geel. The group focuses on food texture and rheology, chemical quality and microbiological quality. Since 2014, research on insects for food, feed and biochemical has taken a special place. Together with her team, Leen focuses on the microbial aspects of both the rearing and processing of insects for human food and animal feed. The topic of Leen Van Campenhout as keynote speaker will be „Monitoring the microbiota during industrial insect rearing to unravel feed and food safety“. Heiko Vogel is group leader at the Department of Entomology at Max Planck Institute for Chemical Ecology in Jena, Germany. His research particularly focuses on studying evolutionary adaptations in insects which are mediated by chemical signals. The concept of coevolution forms the theoretical framework, in which insect-plant, insect-microbe, and insect-insect interactions are examined. Strategies of plants to avoid being chosen for food and to interfere with the process of herbivory are countered by detoxification mechanisms by the insects. Likewise, adaptations by microbial pathogens to use insects as a food source are met by a complex insect innate immune response. Knowledge of how genes control these phenotypes, and on the molecular pathways underlying digestive and detoxifying processes in insect guts as well as immune reactions in response to pathogens and symbionts are some of the many topics being covered. To address questions related to physiology, genomics and evolution, we combine molecular biology, proteomics, RNA-Seq and genomic data analysis. At INSECTA 2018 his keynote talk is named „Adaptive Strategies of Insects to Challenging Environments“. Prof. Dr. Andreas Vilcinskas is coordinator and spokesman of the LOEWE Center of Insect Biotechnology since 2014. 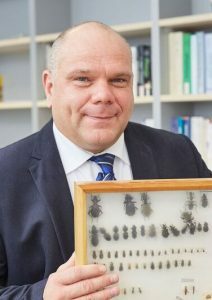 He is as well Professor for Applied Entomology and Director of the Institute for Insect Biotechnology at the University of Giessen and as well head of the project group „Bio-Resources“ at the Fraunhofer Institute for Molecular Biology and Applied Ecology (IME). From 2006 to 2013 he was Executive Director of the Institute of Phytopathology and Applied Zoology at Justus Liebig University Giessen and has been executive director of the newly-formed – and world´s first – HE institution for insect biotechnology since 2015. From 2009, he headed the Fraunhofer project group Bioresources at the Technology and Innovation Center Gießen (TIG). Prof. Dr. Andreas Vilcinskas is a global pioneer in the field of insect biotechnology. His research focusses on Insect Biotechnology, Development of innovative approaches for the control of pest and vector insects, Insect immunity, ecology and evolution; Invasion Biology and Genome Biology and epigenetics of insects. Klaus Eder is a Professor of Animal Nutrition at Justus-Liebig University Giessen. He studied Nutrition at Technical University of Munich (1983-1988), where he also received his doctorate (1991) and lecturing degree (1995). 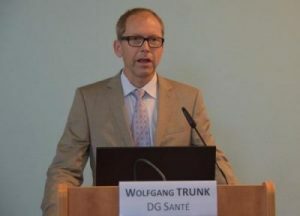 He has been Professor at Georg-August-University Goettingen in the field of Quality of Animal Products (1997-1998), Martin-Luther-University Halle-Wittenberg in the field of Nutritional Physiology (1998-2009), and Technical University of Munich as a chair of Animal Nutrition (2009). Since 2009, he holds his actual function as a Professor in Animal Nutrition at Justus-Liebig University Giessen. He has several important functions inside and outside of the University. Since 2015, he is the Dean of the Faculty of Agricultural, Nutritional and Ecological Sciences of Justus-Liebig-University Giessen. 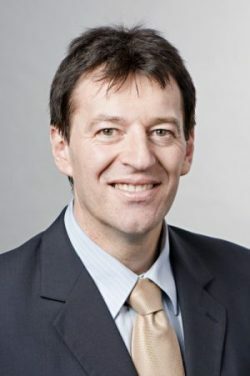 Since 2001, he is a member of the National Academy of Sciences Leopoldina in Germany, and since 2011 he is chair of the section of Agricultural and Nutritional Sciences, and a member of the senate of this Academy. Since 2010, he is a member of the Executive Board of the German Society of Animal Breeding. He is an Editor of two scientific journals in the field of Animal Nutrition, and member in the Editorial Board of several other journals in the field of Nutritional Physiology and Animal Nutrition. In his research, he is dealing mainly with the effects of nutrients on the metabolism in farm animals. His running projects include the effects of insect meal on performance and metabolism of model and farm animals, including safety aspects. As keynote speaker Klaus Eder will talk about „Insect meal as a source of protein in animal nutrition“. Dr. Wolfgang Trunk is policy officer in the field of feed legislation i.e. additives, dietetic feed, feed materials, emerging feed materials including insects, compound feed, medicated feed, feed in organic farming, Antimicrobial Resistance, animal nutrition and sustainability of livestock farming, including fighting food waste at the European Commission, DG SANTE (Directorate-General for Health and Food Safety) since 2003. He has been administrator for economic aspects of german and EU milk production and dairy industry (market department) at Federal Ministry for Agriculture in Germany 1994 to 1998. In 1998 he worked as national expert for the Common Agricultural Policy and rural development in the cabinet of Commissioner Wulf-Mathies of the European Commission. He has worked then at the Federal Ministry for Agriculture Germany at the postion of a principal administrator for economic relations to American countries (mainly multi- and bilateral trade issues with Mercosur, USA and Mexico). 2000 to 2005 he was at the permanent Repesentation of Germany to the EU; attache for the Common Agricultural Policy, feed, animal welfare, veterinary dossiers (BSE, Foot and mouth Disease) and food safety. Wolfgang Trunk will talk about „The regulatory framework for production and use of insects as feed in the EU in order to ensure the safety of the food chain: Situation and outlook“ with a keynote lecutre at INSECTA 2018. Dr. Eleftherios Mylonakis, Charles C.J. 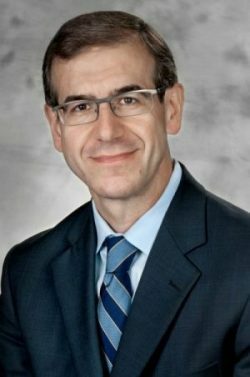 Carpenter Professor of Infectious Disease at Brown University, is also the Chief of Infectious Diseases at Rhode Island Hospital and the Miriam Hospital. He was previously Associate Professor at Harvard Medical School. Dr. Mylonakis studies host and microbial factors of infection and the discovery of antimicrobial agents. His research encompasses both translational and laboratory studies and the use of mammalian and invertebrate model hosts systems to identify novel antimicrobial compounds and the elucidation of evolutionarily conserved aspects of microbial virulence and the host response. Especially, the development of invertebrate models including the insect Galleria mellonella has been a major focus of his laboratory and this work has developed a number of models to study host-pathogen interactions. These investigations have identified novel virulence factors, cross kingdom pathogen-pathogen interactions, novel antimicrobial agents, and traits involved in host virulence and immune responses during infection. He has 8 patents, edited five books and over 325 articles in the peer-reviewed literature. Eleftherios Mylonakis will give a keynote talk about „Insects and Global Food Security“. ociated with the insecticides department at Shell Research Ltd., in Sittingbourne, UK . He was an independent postdoc at the University of Bristol, UK 1973-1975 and then Harkness Fellow at the University of Washington, Seattle, USA in 1975-77. Joining the Faculty of the University of Bath in 1977, he was Professor of Biology from 1993, acted as Head of the Department of Biology and Biochemistry 1997-2000, was Chair of the Natural Sciences Programme, 2001-2004, and served on the University Senate (1997-2007) and the University Council (2002-2007). Prof Reynolds was executive co-editor of the Journal of Insect Physiology from 1999-2010, and has served on the Editorial Boards of several other entomological journals. He was a visiting Professor at the University of Nevada, Reno, USA in 1990, was a Visiting Fellow at Selwyn College, Cambridge, 2009-2010, and is a member of the Scientific Advisory Board of the CSIC-UPF Institut de Biologia Evolutiva in Barcelona, Spain. He served as President of the UK Royal Entomological Society, 2010-2012 and was a member of the Praesidium of the European Congress of Entomology, 2010-2018. Prof Reynolds retired from his full time position at Bath in 2010 but continues to do research. Prof Reynolds has broad research interests in insect biology, especially concerning the mechanisms of moulting and metamorphosis and the evolution of disease. His most recent work concerns interactions between ticks and Lyme Disease spirochetes in collaboration with scientists at the Bayerische Landesamt für Gesundheit und Lebensmittelsicherheit (LGL) in Munich, Germany. Prof Reynolds also has a long-standing interest in environmental problems of crop protection and crop production. 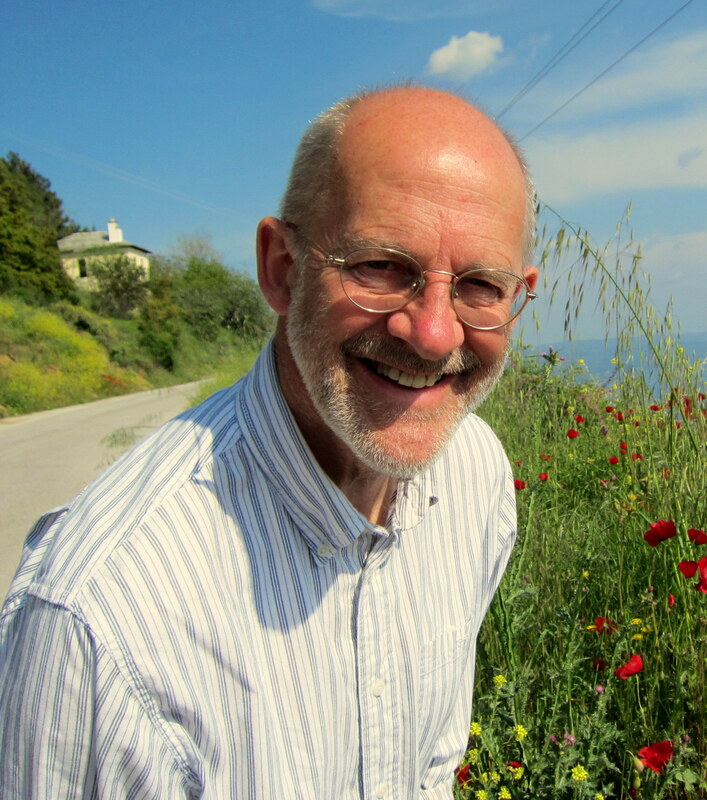 In his keynote lecture Stuart Reynolds will talk about „Crop Protection – the global Problem“.